Largest inland body of water in California in the middle of desert…sounds like Big Bear in Palm Spring? Nope, more like a sea of dead fish and abandoned ruins. 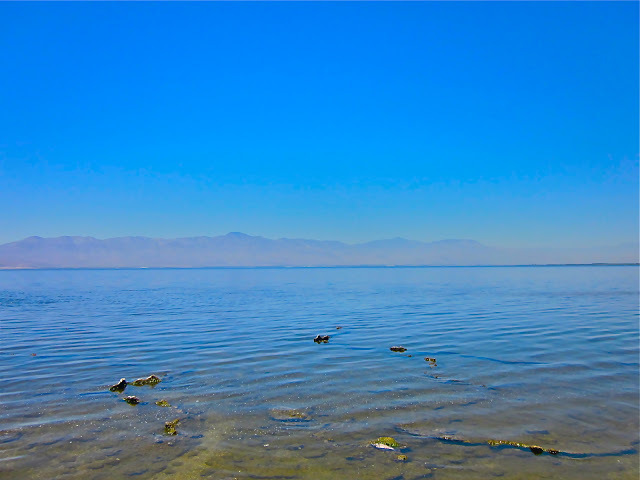 This is Salton Sea, and it is one of the strangest and coolest places in California. This infamous lake was accidentally created in early 1900’s. It was an engineering disaster and a fail attempt at bringing Colorado river to California. 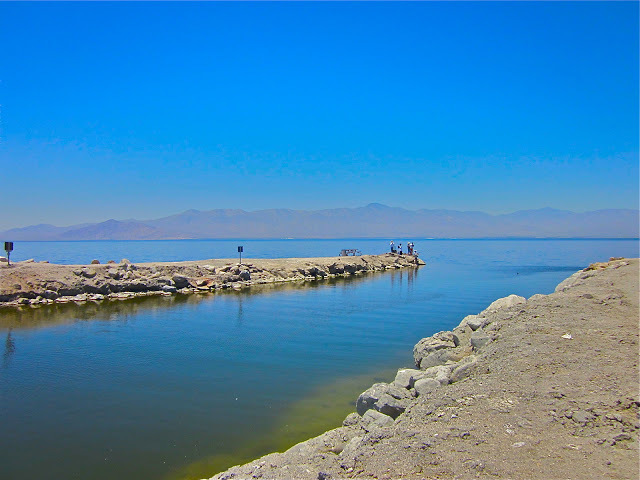 The project flooded this below sea level land and create a 8,360 square miles big lake. Realtors wanted to take advantage of this strange creation. Homes, malls, shops, and resorts were popping up like mushroom along the sea. 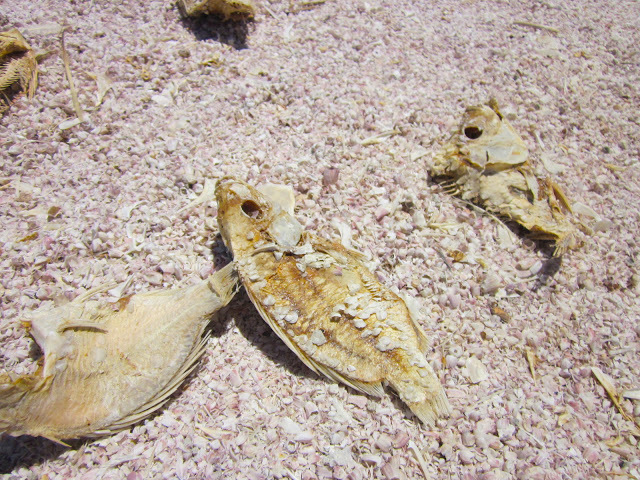 However, it’s not too long before the water becomes saltier than the sea due to pollution and high temperature level, which resulted in millions of dead fish flooding the shoreline. Residents left and tourists never returned. 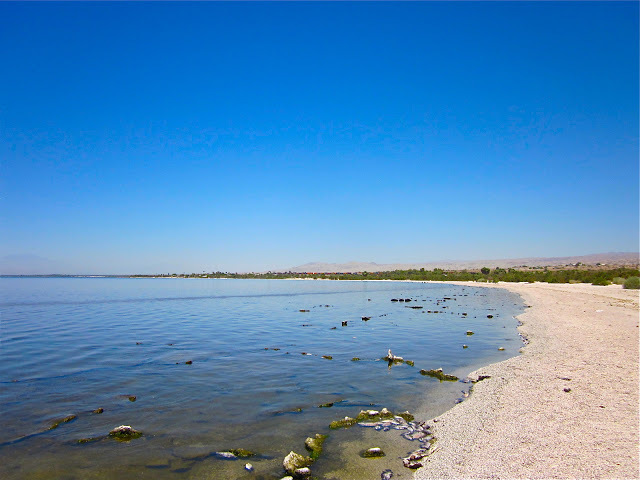 Today, Salton Sea is not visited by beach goers or vacationers, but rather explorers and photographers who seek to experience what it’d be like when human mess up so bad it’s irreversible. Ruins of civilization scatter along the lake and beach along the shore is made of not sand but skeleton of dead fish. While this place may not be an ideal honeymoon stop, it has a lot to offer to those who seek to see something new and completely different from anything anywhere else on earth.